This is the middle baffle section of the FX Stackable Moderator. You can add one or more of these units to create your own level of quiet. These sections work in conjunction with Section 1 and the section 6. A typical moderator consists of four middle baffle sections. 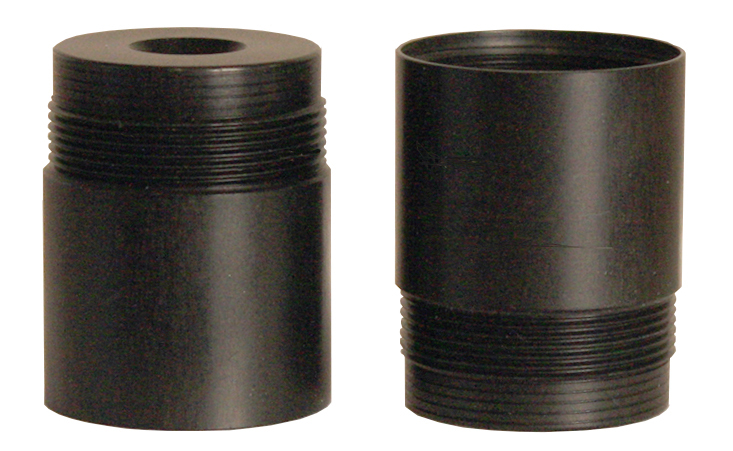 This unit is used with the Wildcat or the 1/2 UNF base (section one) which attaches to your rifle, and the caliber specific section 6 end cap . These moderator sections will not fit the Wildcat .25 Compact or Wildcat .30 base unit or end cap which use the Impact moderator.